The rapid advancement of the digital economy demands faster, simpler, and better translation services that today’s enterprises depend on to beat their competitors in international markets and accelerate global revenue growth. The hyper-connected world has fundamentally changed customer expectations in terms of translation speed. Quality translation turnaround times are no longer measured in days and weeks; instead they are calculated in hours or even minutes. Stepes’ AI powered enterprise translation solutions take advantage of our patented online and mobile translation technology to deliver real time and agile translation services when and where our customers need them, on all platforms, on-site, and on-demand. Trusted by top Fortune 500 companies and leading enterprises globally, Stepes helps our clients succeed in international markets with speed. Stepes disrupts the old translation models with our online and mobile powered human translation solutions that deliver on-demand and professional language translation services at scale, in over 100 languages, and on six different continents. 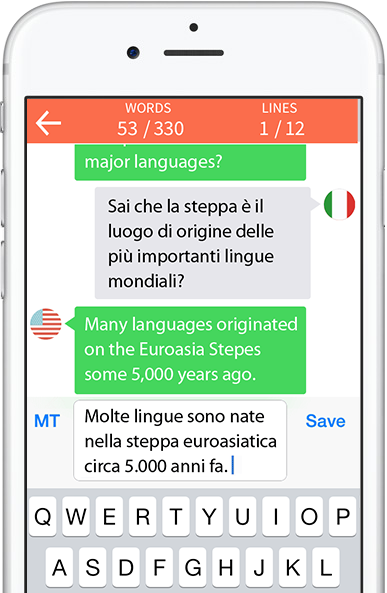 Mobile Translation, Anywhere, Anytime – Stepes is a patent pending technology that unlocks convenient and accurate translation services not yet witnessed from a mobile device. Headquartered in the technology hub San Francisco, we have 14 other offices around the world. Recent studies have found that more than 400 of the world’s major languages and dialects including Germanic, Slavic and Romance languages as well as classical Sanskrit and languages of the South Asian subcontinent originated on the Eurasian Stepes (also spelled Steppes) 5,000–6,000 years ago. We chose this as another inspiration for our name since we love to be a source of languages for the world.